When a British bookmaker installed Stephen Elop as favorite to take over the soon-to-be-vacant CEO slot at Microsoft Corp last week, most tech observers laughed it off as a publicity stunt. But Microsoft's purchase of Nokia's handset business, announced late on Monday, has suddenly made Elop one of the most visible candidates for the top spot at the company where he once worked. Investors and others familiar with the board's thinking reject any suggestion that the deal was done with Elop in mind, and his track record at Nokia is decidedly mixed. At a minimum, though, the understated, steely Canadian will play a critical role in managing Microsoft's controversial entry into the mobile handset market, and thus shape the future of the software giant as it plunges headlong into the hardware business. On paper at least, 49-year-old Elop fits the role. He knows broadly how Microsoft works, having spent nearly three years there running the highly profitable Office unit, and has just spent three years in the thick of the mobile war at Nokia. But that is not enough time to cast him as an "insider" in the minds of many looking to shake up insular Microsoft. 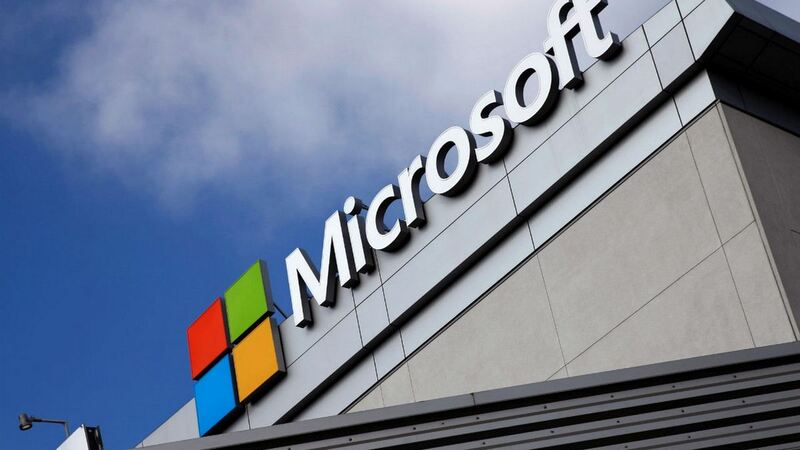 "People are looking for Microsoft to go through some dramatic change," said Kevin Walkush, an analyst at Jensen Investment Management, which holds Microsoft shares. "He has a very good understanding of what happens at Microsoft, and he has made hard decisions in the face of big challenges. It's a pretty strong combination." The jury is still out on whether Elop saved or put a nail in Nokia's coffin by making the pivotal decision to adopt Microsoft's Windows Phone system as its smartphone platform in 2011. Nokia's shares fell more than 60 percent during Elop's tenure as CEO, and its sales collapsed as it jumped from its long-held but outdated Symbian system to the largely untested and unknown Windows, choosing it over the more popular Android system by Google Inc.
"They (Nokia) only have 3 percent market share in smartphones. They lost 40 percent of their revenue in mobile phones in Q2. That's not a business on stable ground," said Hakan Wranne, an analyst at Swedbank, summing up Elop's legacy. "Of course we will never know what would've happened if they had chosen Android." But perhaps it could have been worse. The appointment of Elop as Nokia CEO in 2010, making him the first non-Finn to lead the company, was seen by many at the company as a breath of fresh air. Many who survived the massive job cuts - around 40,000 since his arrival - credited Elop for turning around a culture that many said lacked speed, decisiveness and a sensitivity towards demands of customers and partners. Analysts credit him for speeding up product launches over the past year by eliminating unnecessary processes and holding individual executives more accountable. In an interview in July, Elop said the company spent 22 months on the N8, which used the now-obsolete Symbian operating system and was launched shortly after he joined the company. With Windows phones, he got that down to six- to eight-month delivery cycles. Many Finns were relieved the Canadian was more understated than Microsoft CEO Steve Ballmer or other US tech executives, bonding with his adopted countrymen over a love of ice hockey. Many were impressed he answered 10 to 20 emails from customers each day. "He is a nice guy. Everyone liked him. That's his strength," said one former Nokia employee who worked closely with Elop and asked not to be named. "He is very down-to-earth, he answers all of his email. His communication skills are very good, but he has got a sense for the dramatic." Elop's dramatic side came to the fore with his startling "Burning Platform" memo sent to staff shortly before he announced the company would adopt Microsoft's Windows Phone in early 2011, which essentially announced the death of Symbian. "It was an internal memo but he (Elop) knew it would get out given the situation at Nokia," said the former Nokia employee who asked not to be named. But outside the company it was broadly welcomed as the jump-start Nokia needed to change. 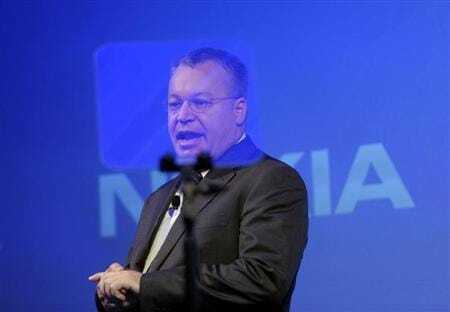 "He (Elop) changed the way Nokia operated. And he did a very good job, he was fast at executing and changing the mind-set of the company," said IDC analyst Francisco Jeronimo. Before he came to Microsoft in 2008, Elop was a fairly high profile Chief Operating Officer at network equipment maker Juniper Networks Inc and before that a president at software firm Adobe Systems Inc.
"He's got a technical background, he actually understands engineering, he gets it," said Paul Murphy, formerly Elop's chief of staff at Microsoft. "I've seen him interact with customers, he's fantastic with customers in difficult situations." Less is known about Elop's stint as Chief Information Officer of restaurant chain Boston Chicken from 1992 to 1998 when the company filed for bankruptcy. The Nokia deal is not expected to distract the special committee from conducting a thorough search for a new CEO, said one person with knowledge of the matter, hinting strongly that Elop is not a shoo-in for the job, but admitting that he is a probable candidate. "People can point to his Nokia track record and say that he failed, but he was really dealt a tough hand," said Walkush at Jensen Investment Management. "He's demonstrated a lot of leadership and ability."